I finally found myself up in the Bay Area over a weekend for work functions and took advantage of the situation by visiting California’s Great America (CGA). I hadn’t been to this park since I was in high school, over 25 years ago! Not only was I way past due for a visit, but I was also very anxious to check out their latest ride, the Gold Striker roller coaster. It definitely lived up to the hype and I won’t wait so long to come back next time. 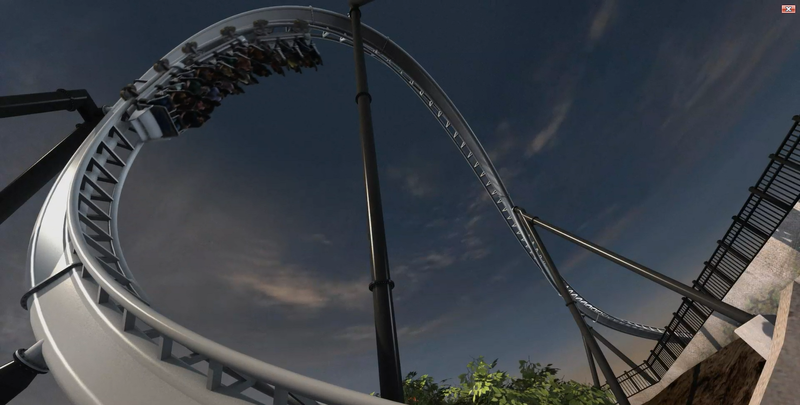 The Gold Striker roller coaster is brand new for 2013, making its public debut on 1 June 2013. Built by Great Coaster International, this coaster was originally planned to be built back in 2009, but the project was cancelled and put on hold. In early 2012, CGA filed for a building permit and construction on a new roller coaster started shortly thereafter. In July 2012, right as the coaster began vertical construction, CGA announced that the name of the coaster would be Gold Striker, themed after the famous California Gold Rush. As with most Great Coaster International creations, the Gold Striker roller coaster is an extremely fun ride. It’s fast, it’s twisty, and it’s family friendly. It definitely lived up to its hype and might even be the best wooden coaster on the West coast. I highly recommend it and can’t wait to return to CGA to ride it some more. Gold Striker opened a day after I went. on the second day it was open I was there, and the line was just about an hour. Are you going to get other coasters to. Coaster Guy, what is your favorite woody? And out of Roar, Apocalypse, and Gold Striker, how would you rank each one? I got to wondering…is California the only state with three GCII coasters? This is off topic but I’m Not sure if you noticed or not but they added the front piece to the full throttle trains from the animated promo-video. Gold Striker does not have those sound walls just so Great America can be a good neighbor, it’s because Prudential (those pesky office tower owners) forced them to put them in. I know. I just didn’t want to delve into that whole controversy as part of this overview. That story could be an entire article all on its own. Its so stupid. The park was there before the office buildings. It’s their fault for putting their building next to a theme park. Nathan: Blame Santa Clara for giving the office buildings so much power. One more reason to look forward to Coaster Con! !